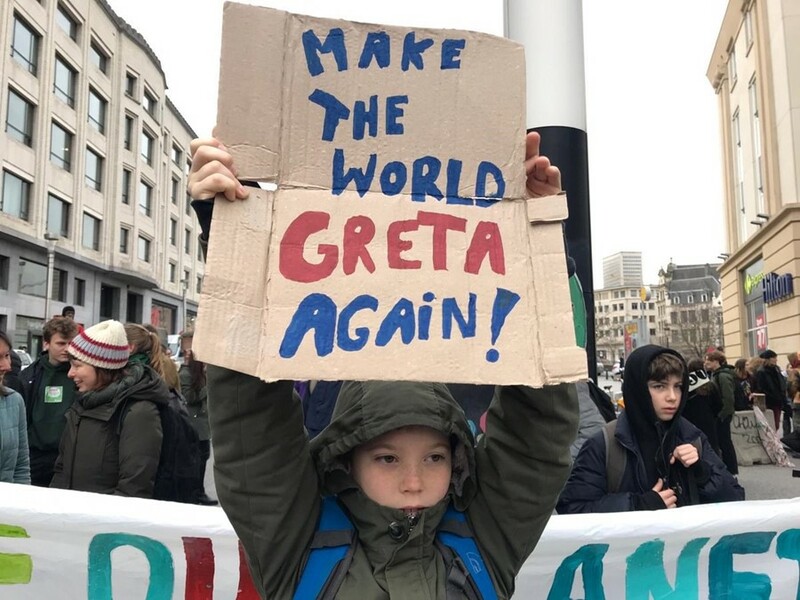 Upwards of 10,000 young people skipped school again in Belgium on Thursday (January 17) to march for protection against climate change. They have vowed to continue demonstrating every week until world leaders take notice. The school strikes first kicked off back in August as a solo protest by 15-year-old Greta Thunberg in Sweden. Since then thousands of students around the world have joined her, with school strikes having spread to at least 270 towns and cities in countries across the world in places as far-flung as Australia, the United Kingdom, Belgium, the US and Japan. Previous protests took place in December, following on from disappointing conclusions at the UN climate summit in Poland which took place earlier that month. At the summit, leaders agreed rules for implementing the 2015 Paris agreement which aims to keep global warming as close to 1.5C as possible, but made little progress in increasing governments' commitments to cut emissions. Following on from the summit, civil society groups have declared outrage at leaders failure to address the urgency of climate change, and pledged to grow international protests to drive rapid action against global warming. Protests calling for more action against climate change have been amping up in the last few months – in November, we reported on the huge protest organised by Exitinction Rebellion. Over 80 activists were arrested on the day. “I’ll protest again. Unless we want Malibu-scale fires, Yemen-scale starvation and escalations of the far-right in every town and country, there is simply no choice,” one demonstrator told Dazed. Creative movements have also been rallying against climate change – Olafur Eliasson’s major piece of outdoor public art in London brought ice blocks sourced from the waters of the Nuup Kangerlua fjord in Greenland to outside the Tate Modern and in another locations, in a visual call-to-arms.